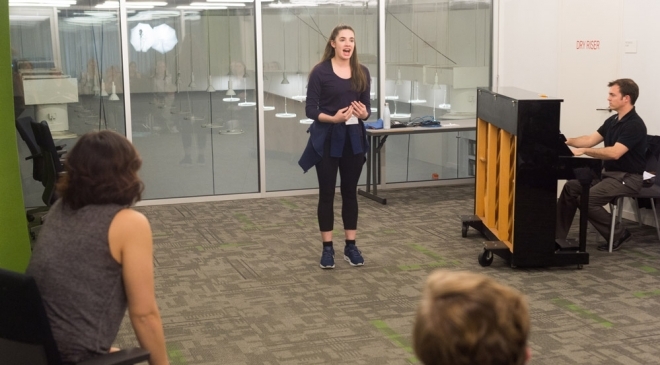 Teen theatre enthusiasts polish their acting, dance, and vocal skills during our all-day Broadway Intensives. In addition to a full day of masterclasses taught by professional touring actors and local teaching artists, students also enjoy backstage tours, meet & greets with the cast, production t-shirts, lunch and dinner, and tickets to evening performances. Say “yes” to improv and physical comedy training, practice different accents with dialect coaching, and learn about set design. Polish your vocal skills, learn character development, and discover the various career paths in the performing arts. Receive a $50 discount with the purchase of both Broadway Intensives! Click here to download the Broadway Intensive registration form.